As time has passed it has become a no-brainer the guitar is the preeminent musical instrument in the western world. Especially in the English speaking world the guitar has reached levels of popularity unimaginable just 100 years ago. But the popularity of the six stringed lute-like instrument is not limited to the west or to English speaking nations. Electric guitars have been all the rage since the 1950s, but those typically require an amplifier and the availability of electricity. The acoustic guitars are much more versatile. They can be played into a microphone, or a pickup can be clipped to the insides of one. Or they can be played without amplification at all. A prospective guitarist should probably start with the steel string acoustic guitar. Why? Because no matter how good you can sound on an electric guitar, if you can't perform on an acoustic, you're not really much of a guitarist. And in more recent years many an electric band has produced acoustic 'unplugged' albums. The acoustic guitar is just completely honest. Mistakes can't hide behind distortion or feedback from amplification. The acoustic is also trans-genre in its tonality. 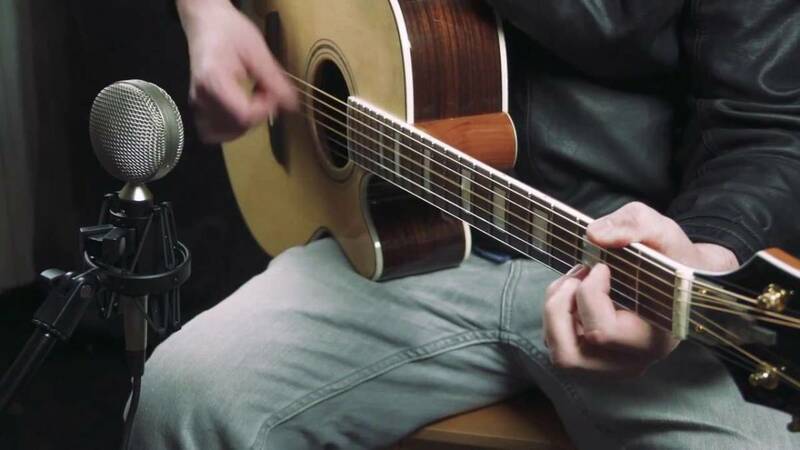 Someone gifted with a singing voice can accompany themselves with an acoustic guitar. We'd likely have never heard of Bob Dylan were he not strumming along as he sang. Without a guitar, Joni Mitchell, Paul Simon, and countless others never make a name for themselves in music. So the acoustic guitar, and especially the steel string acoustic guitar is where you start. 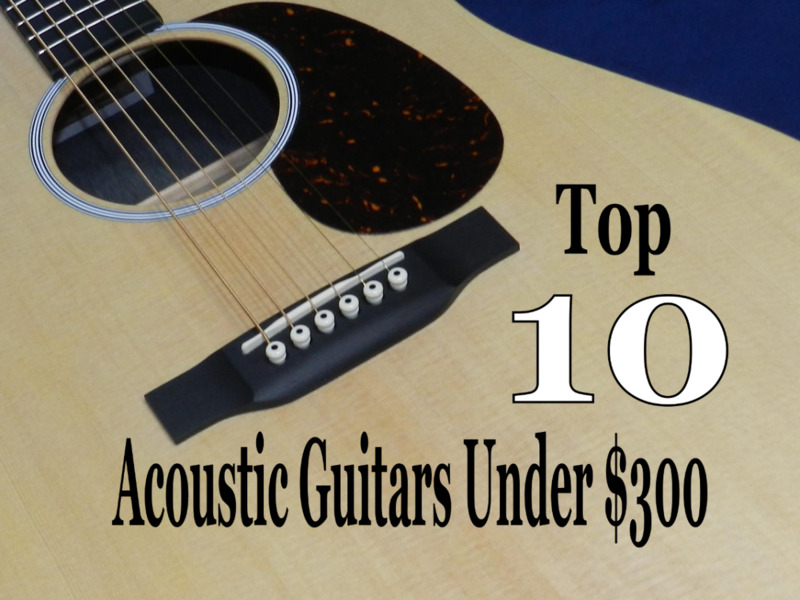 A good acoustic guitar will be neither cheap nor inexpensive. There are some pretty decent two hundred dollar guitars produced and sold all over the world these days. Great beginner's instruments. Raise the budget to five hundred dollars and you can get a steel string guitar with a solid wood sound-board or top on it. A much better instrument. For this article we're looking at instruments for persons who already play the guitar, and want a better one, but have about a thousand dollars max to spend on one. These are all brand new models, so they are new guitars, but may possibly be found for sale used. D'Angelico is a manufacturer most often associated with high end arch-top guitars, but they make some great flat top guitars as well. The extremely distinctive and distinguished D'Angelico head-stock makes their guitars instantly identifiable. The D'Angelico Gramercy guitar is an exciting and distinctive flat-top, ready for bluegrass and country and folk music playing. This guitar is all solid wood construction. So this is not a guitar for just an intermediate guitarist, but for a serious amateur or professional as well. The body is of the grand auditorium size with a single cutaway. You've got a solid Sitka spruce top here and solid east Indian rosewood back and sides, rosewood fingerboard, and the instrument comes in various finishes. 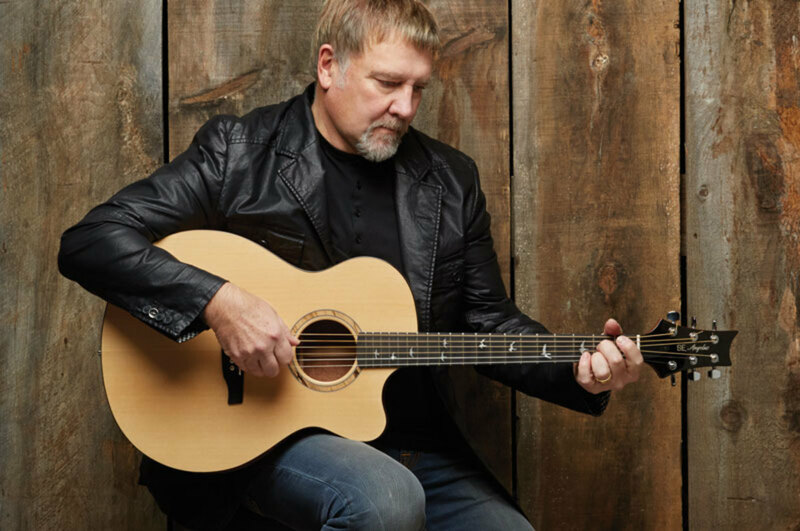 Alex Lifeson is a man we all know and love. The guitarist for RUSH is most often seen playing a Gibson Les Paul, but no matter how heavy your typical music may be, there is nearly always a place on an album or in a song for some soft strumming or finger-picking. Alex does it all very very well. At roughly $800 bucks this PRS Alex Lifeson SE guitar is a steal. The depth of the instrument is rather shallow. It's called a thinline for a reason. Everything with Paul Reed Smith's name on it is quality product. 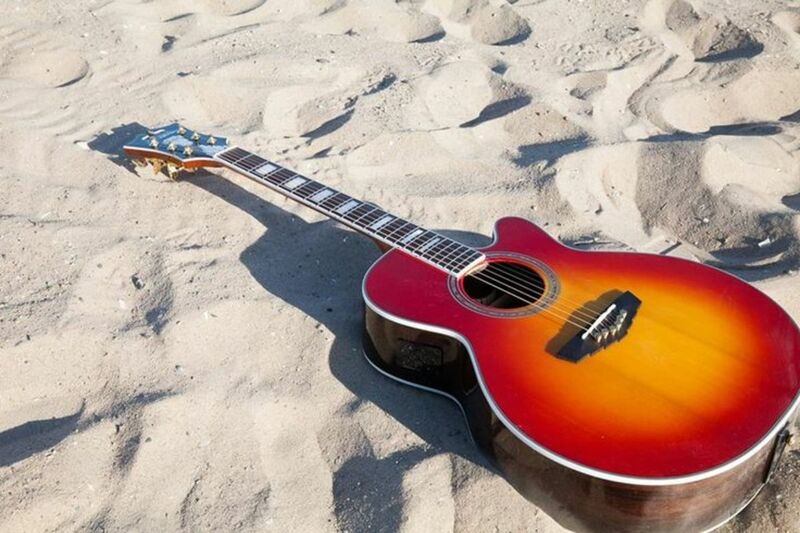 This guitar can be enjoyed unplugged, but it was meant to be used for acoustic/electric play. The shallow depth of the body of the instrument has a purpose - less feedback when played plugged into an acoustic guitar amplifier. The shallow depth will also make this guitar more ergonomic to play than a dreadnought. 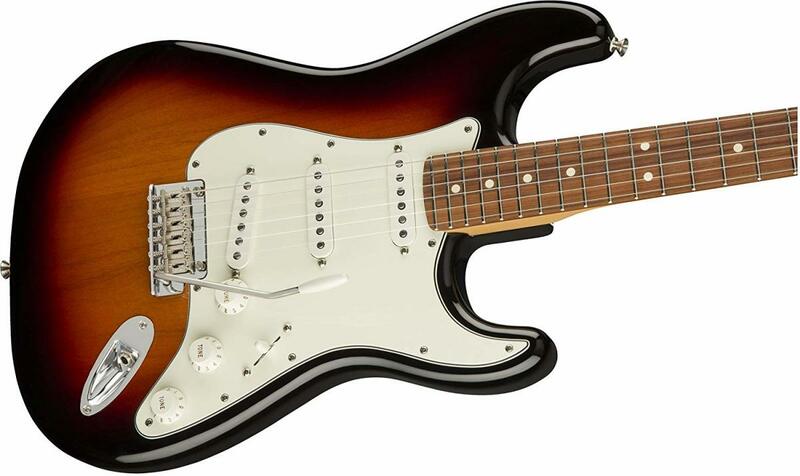 If you happen to be primarily a player of solid body electric guitars - then this guitar specifically should feel very comfortable for you to play. The sound board or top is solid spruce. The PRS birds in flight fret-board inlays are evident here. And PRS acoustic guitars have their own unique bracing pattern. Their acoustic guitars will not sound like others. This guitar is for those seeking a unique sound to set them apart from their friends. The pickup is located inside the sound-hole. Tone and volume knobs are accessible through the sound-hole. 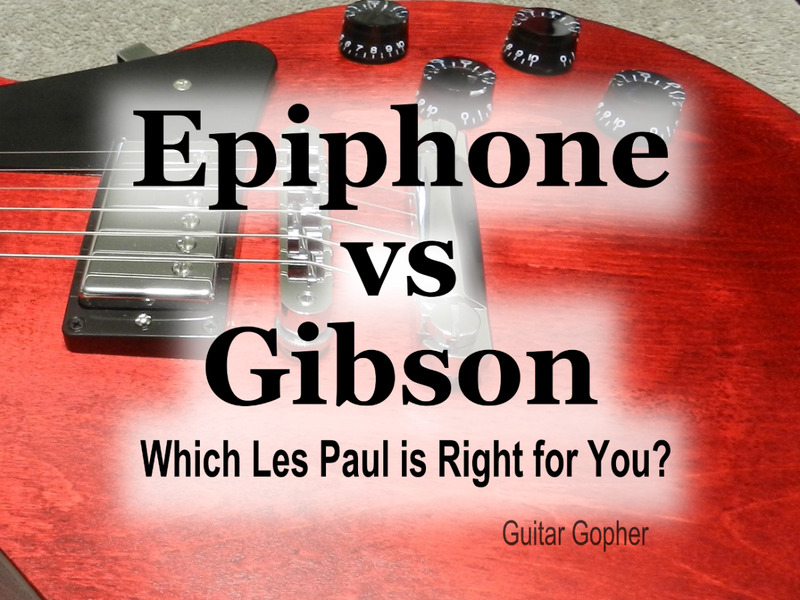 Epiphone has long been the value brand for Gibson Guitars. The Epiphone instruments titled Masterbuilt are indeed befitting of the title. As a grown man crying tears of joy at the sight and very ideal of these things, I'm not sure if the tears are more for the beauty or the value. 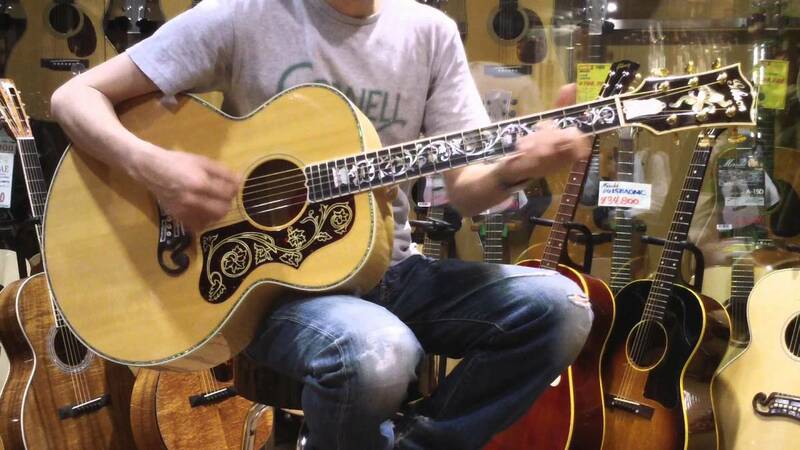 This is essentially a Gibson J-45, but it is an Epiphone, which in this case really only means it was built in Asia. This is all solid wood construction here, and for less than one thousand dollars. This is the guitar of American folk and rock music. The Beatles were forever playing Epiphone acoustic guitars on all of their earliest hits. The J-45 was forever thought the workhorse guitar for the working musician. The Epiphone version even more so in these modern times. The design of this instrument, and its build specifications are straight out of 1936. 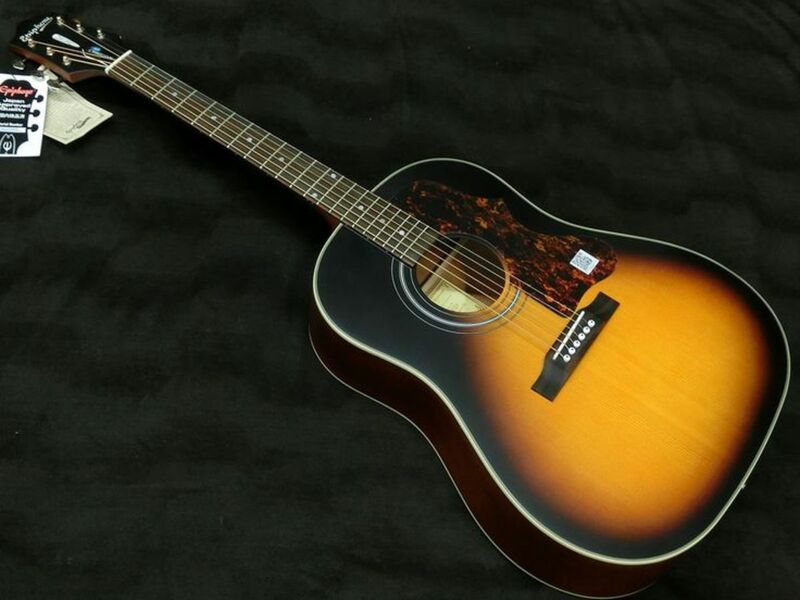 This Epiphone AJ-45 masterbuilt guitar is a steal at $999.00 dollars. Thank God above for Asian guitar builders. You get all of the greatness of the original specifications, and the modern acoustic/electric functionality. This guitar will serve for strumming, flatpicking, and fingerpicking too. Heck, even bottleneck blues will come off terrific, it is all up to you. Mexican snake wood is a highly figured and very very new tonewood used in guitar building. If you are shopping for something no one else has, then this guitar is something for you to take a good long and hard look at. The solid spruce top means it will sound great, and be quite loud whether plugged in, or not. This is an auditorium body style guitar, and has electronics for acoustic/electric play. The uniqueness of this Lag Tramontane snakewood instrument doesn't end with the snake wood back and sides. Nor does the traditional appointments end with the solid spruce top. The fret-board of this guitar is a very elegant Mozambica ebony. Getting an ebony fingerboard on a guitar priced at just $849.00 dollars is a real deal. The bridge and head-stock are also of ebony. The guitar is a serious looker. The neck is mahogany. My thoughts are this guitar is most suited to the player who strums chords in accompaniment, and also works well as a finger-style guitar. I am myself a very traditional lover of guitars. The dreadnought, in my opinion, is the most widely built and sold body style of acoustic steel string guitar for a very good reason. Dreadnoughts may be slightly uncomfortable to play for some, but their tonal characteristics supersede comfort. 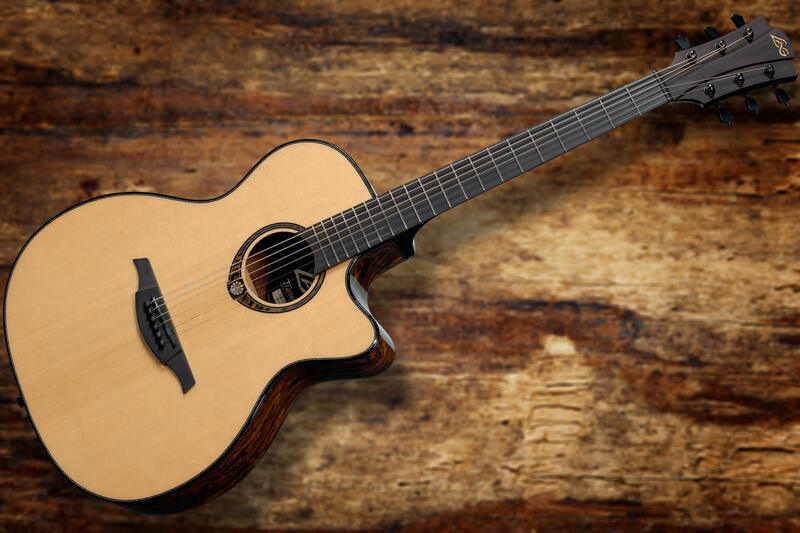 Takamine has been building a lot of dreadnought guitars for a lot of years. They are pretty damned good at it, and they know it. Besides that, they've got state of the art electronics on their dreadnoughts these days. 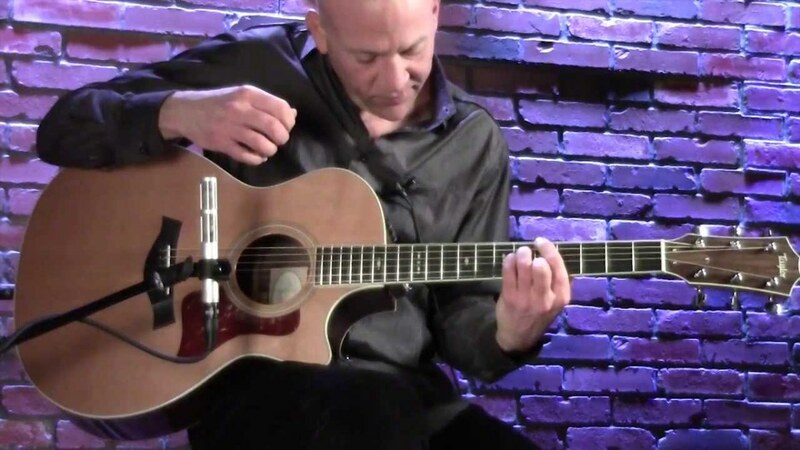 Most Takamine dreadnoughts are acoustic/electric guitars. 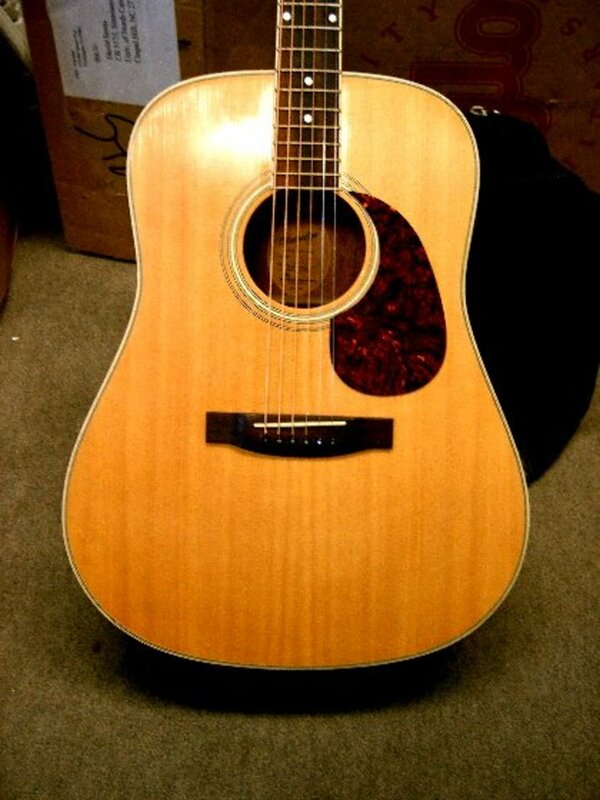 Some persons feel Takamine provides better electronics than does Taylor or other American made high end brands. While the dreadnought is a very traditional body size guitar, this dreadnought isn't a traditional dreadnought in its construction. A solid cedar top is used here rather than spruce. Cedar is the soundboard of choice for finger-pickers and strummers who use a lighter attack. You get clearer intonation of your notes when fingerpicking a cedar top guitar. The back and sides are of sapele, a close cousin to mahogany. So anything lost in projection for the cedar top is made up for in the sapele back and sides. The D'angelico should certainly cut the mustard for you, but you could probably find another Ovation in your price range too which would serve your needs. Now for hard-shell cases there are cheap ones for around one hundred bucks brand new, and available at most guitar stores. They aren't super beautiful, but they serve their purpose. You do need to see for sure that a case will fit any particular guitar. Hi! I've come across your article at the very beginning of my search for a guitar and found it very clear and informative, thank you! In a nutshell, I taught myself very basic guitar 25 years ago (piano is my first instrument) and I've gotten to the point where I accompany myself singing (folk-style music) very often. I'm a very mediocre guitarist but I'm lucky enough to get paid for doing what I love. I've been borrowing a good friend's guitar for nearly 20 years and now she wants it back so I am looking to buy a good guitar for under a thousand dollars. My friend's guitar is an Ovation and I really like the narrow neck (I have small hands). I liked your description of the D'angelico Gramercy, would you recommend that for my situation? And where could you purchase a slightly damaged (casing) one as you mentioned? Or is it better to look for an excellent second hand guitar?